The weekend was a lot of bite-sized items – very common for food conferences with lots of walking, talking, and eating. That is, until brunch this morning at Moonshine in Austin, Texas where the brunch buffet was beyond tempting. Two plates of gluttony lasted me all day long. Sometimes, you’ve got to splurge. And hey, there was some fruit involved. There was also gravy and cinnamon rolls and perhaps a mimosa, but who’s keeping tabs? Tomorrow is Monday, the weekend of foodie bliss is over, and I can redeem myself from a food coma with a week a healthy eats to undo the damage that I have to assume will show up in the evidence of a pound or two on the scale. I am leaving with a stack of business cards of blogs that I absolutely must check out. When there will be the time to do so is the much bigger issue. There’s just so many talented foodies in this world, flooding the internet with some of the most stunning food in the world. Yes, the world. Somehow, some way, I even have a menu planned for this week. My bigger issue? Finding the time to grocery shop for the ingredients. Seeing as I’m sitting on the not-so-comfy-or-cleanly floor of Austin’s airport, delayed several many hours, and work in the morning staring back at me…I’m just not sure how this is all going to play out. 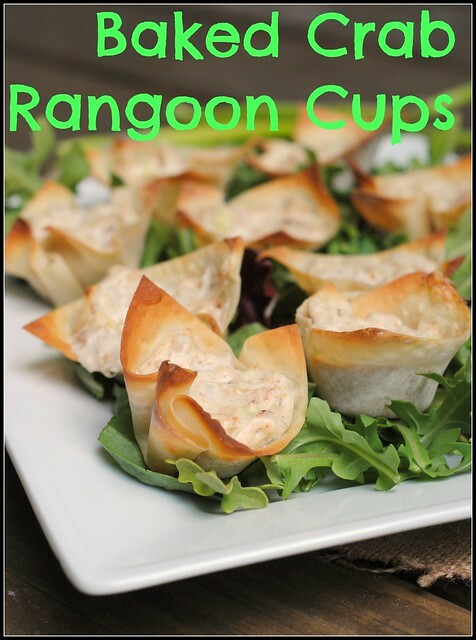 This week may end up like last week when I made these Baked Crab Rangoon Cups, an appetizer, and said, “Dinner is served!” I like to keep things interesting, delicious, and healthy. The rest is up in the air…unlike me. 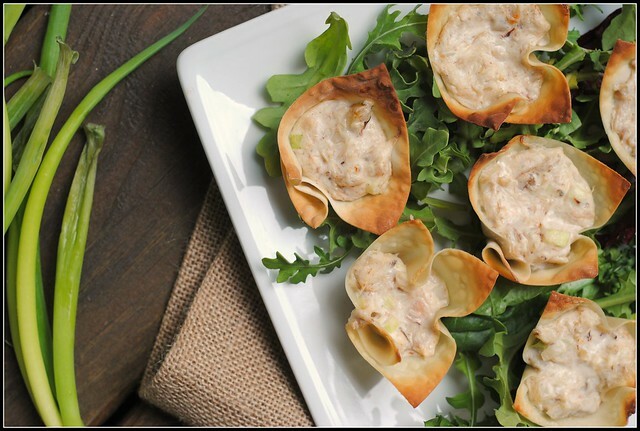 Place wonton wrappers into muffin pan, pressing lightly with your fingers to lay in the bottom of the pan; spray the tops with cooking spray. Bake 4-5 minutes, or until just starting to brown. Remove from oven. Meanwhile, combine cream cheese, mayonnaise, soy sauce, lemon juice, and garlic powder in medium bowl. Add water chestnuts, crab, and green onions and gently fold into the cream cheese mixture. 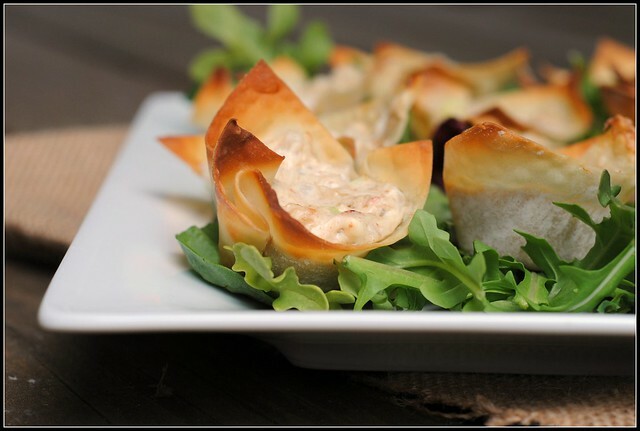 Fill wonton cups with filling and return to oven to bake for 6-8 minutes or until golden and filling is hot. Result: These were delicious! 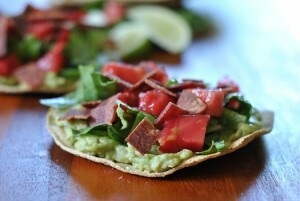 And suuuper easy to make! I wasn’t sure about the water chestnust, but they definitely worked! Next time, I will sprinkle some of the greens of the green onions on top for some color 😉 Enjoy! HOPE to see you in Michigan! « 4 Years of Blogging! Like my new look? These look great! Glad you had a good and productive trip! The food at Moonshine is heaven on a plate. A good use of calories I’d say. Glad you enjoyed your trip to Austin! Sorry to hear about your delays at AUS- hopefully you were able to get home okay. Mallory, hi! It was SO good meeting you this weekend! I can’t wait to follow your blog & hope to see you again soon! That is always my husband and my favorite splurge at a Chinese place – the crab rangoons! So good. 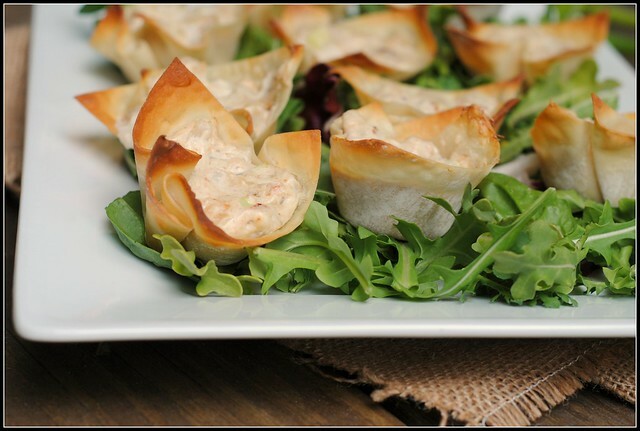 I actually made a breakfast crab rangoon – totally forgot about it until I saw your recipe! 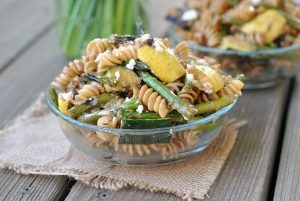 I found your blog a few months ago, and my boyfriend and I really enjoy all of the recipes we’ve tried so far. I just made these last week, subbing a leftover salmon filet for the crab, and they were delicious. I’ll definitely make it again and try the crab next time. Thank you!